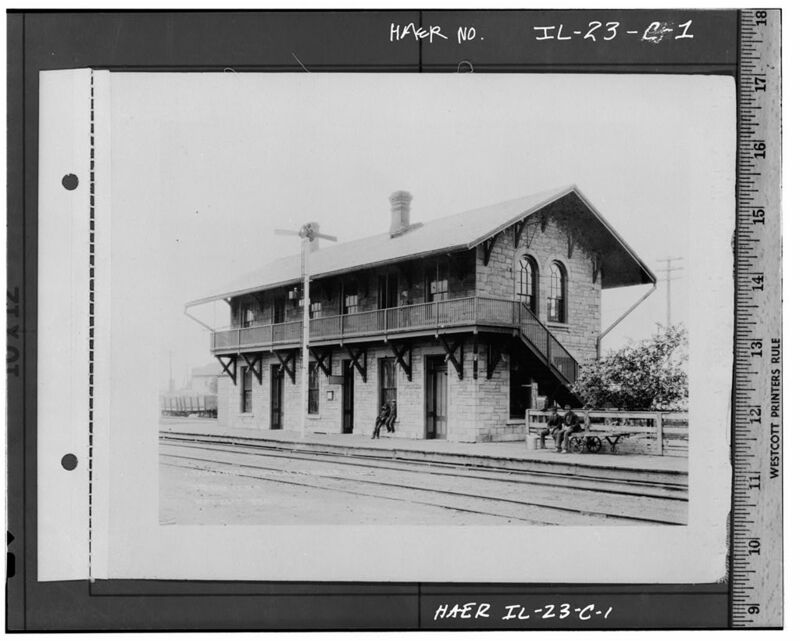 Here at this site you will find many Illinois Central RR related photos, info and more. 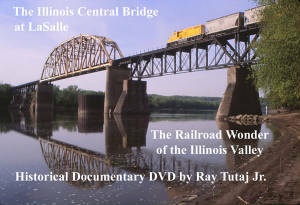 My latest project "Wonder of the Illinois Valley" is a historic look at th ICRR bridge at LaSalle. 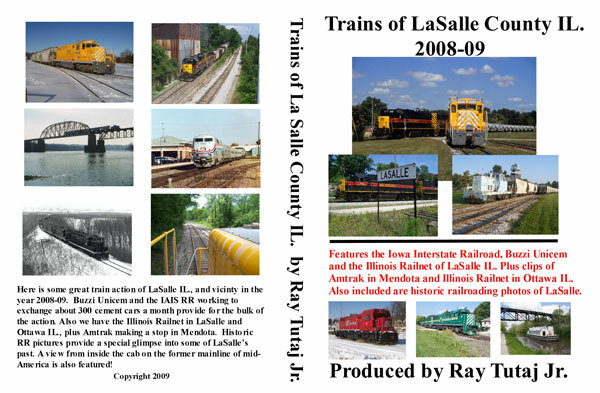 This disc contains never-before seen pictures of the 1898 rebuilding of the bridge and the 1933 addition of the span. There is video of trains passing over the bridge in 2010, yes the bridge is still being used by Buzzi Unicem today. Buy the ICRR Bridge Documentary here. 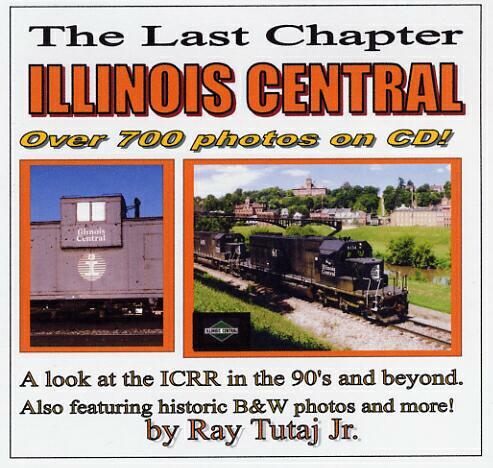 Buy The Las Chapter ICRR pictures here. Loaded with over 700 IC photos! View IC CD Contents; click here! 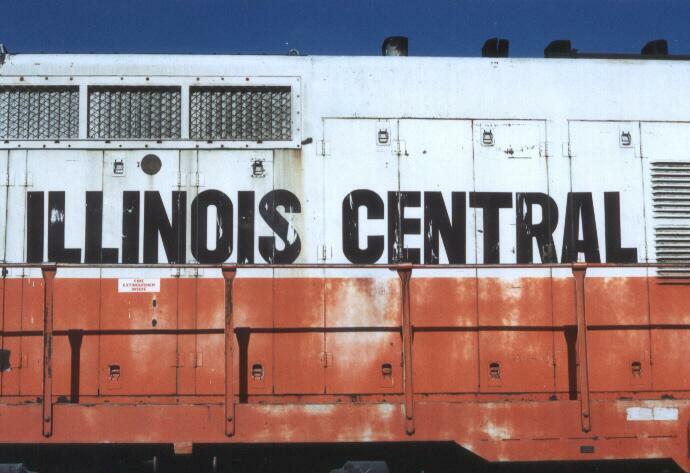 Welcome to the Illinois Central Railroad, featuring LaSalle County and more. 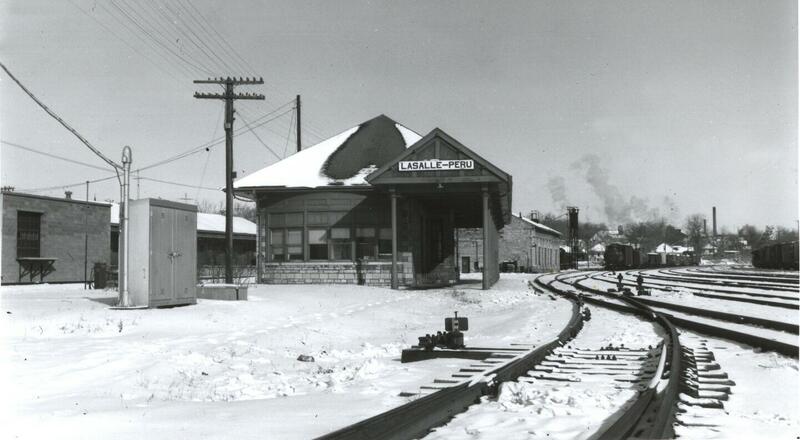 Here you can view numerous photos from various eras from IC's past and present. 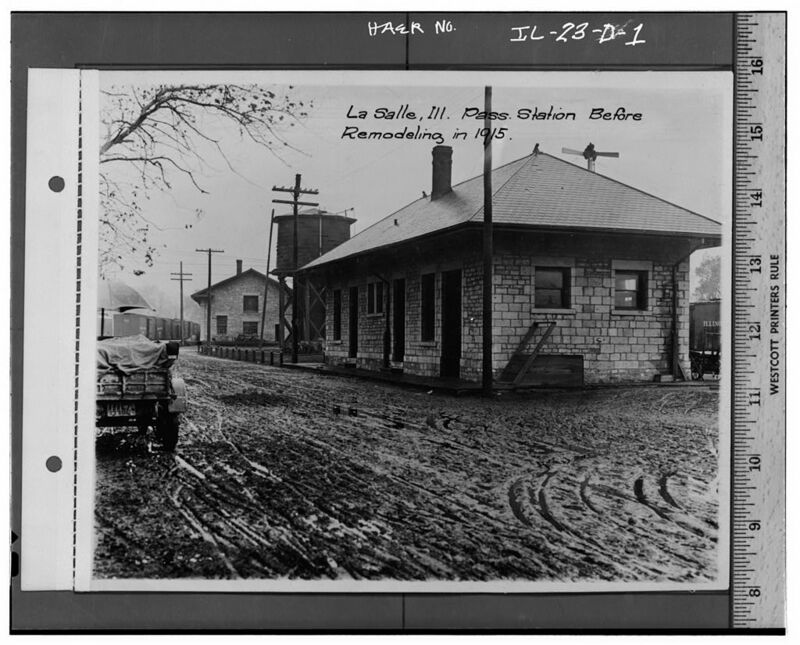 Illinois Central Depot in LaSalle IL. 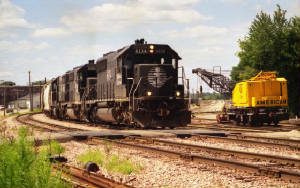 Notice the Freight hse. 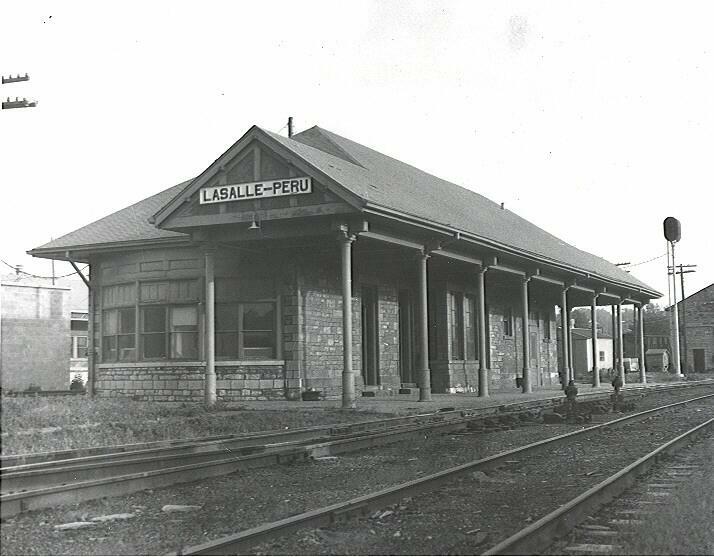 in background which later became the engine hse.